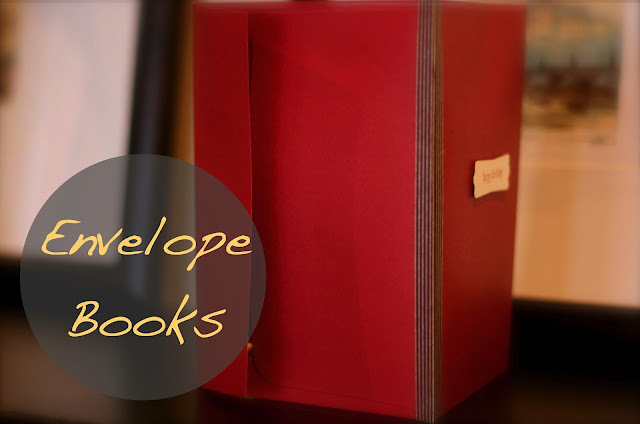 I'm starting off the first post in my Envelope Gift Series with a little tutorial for envelope BOOKS. In case you missed my introduction to the envelope gift series, you can have a little peek here! Envelope books are simple and easy to make, you can add as many "pages" as you like, and they make a really cute way to "gift" several items in a small package. 1. Place envelope 1 with flap facing you & envelope 2 with flap facing away from you. 2. Bind the two envelopes together using Japanese washi tape or other decorative tape. 3. You now have two pages of your "book". Fold the second envelope over toward the first (as if you were flipping the page of a book). 4. Continue to add as many envelope "pages" as you would like, repeating steps 1 & 2. 5. Bind the spine of your envelope book with a matching or coordinating tape. I have been making envelope books for several years now, and I certainly did not invent this idea. I was originally inspired by the Martha Stewart envelope book tutorial. You can make envelope books with coordinating envelopes, mismatched envelopes - in any size that you choose. The possibilities are truly endless. I carefully handcrafted a envelope book with a cloth-bound cover using these custom letterpress envelopes as a wedding gift for a friend. any small, relatively flat item will work well! I also think that these make really lovely and unique ideas for bridesmaid gifts - fill with a hand-written note + items such as certificates for hair or nails, jewellery for the wedding day, a pretty vintage hanky (for any criers), pretty hair pins or accessories. Find envelopes that coordinate with your wedding colours and away you go!